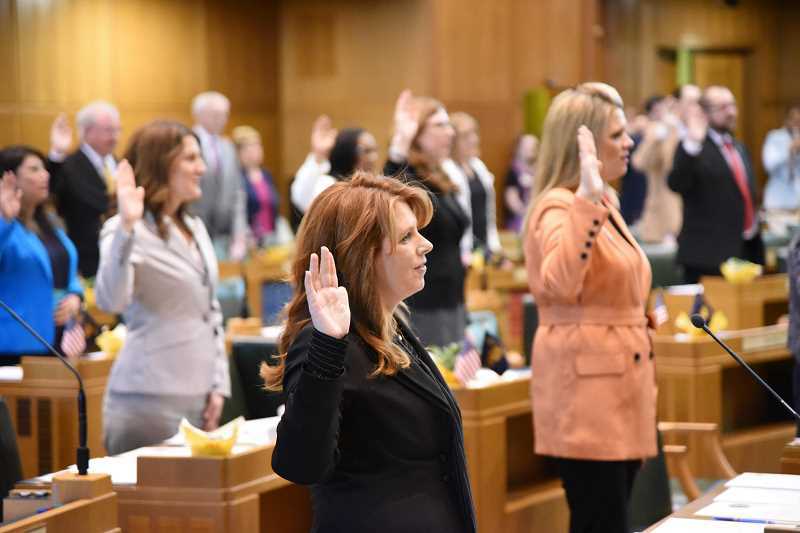 A Canby resident, Republican Rep. Christine Drazan, was officially sworn in as the state representative for House District 39 and will take part in her first legislative session as a representative later this month, serving on three committees. Drazan's swearing-in ceremony took place among peers, family, friends and community members on Monday, Jan. 14 at the Oregon State Capitol in Salem, according to a press release. "It is an honor to represent the people of House District 39," Drazan said. "We love our world-class rivers, heritage farms, innovative manufacturers, robust small businesses, historic communities and friendly neighborhoods. "Yet, we still struggle with traffic congestion, unaffordable housing, stifling layers of red tape for growing businesses, rising student homeless populations and the highest suicide rates in the region," she continued. "These problems demand solutions and must be met with more than high hopes and good intentions." Drazan will have a real voice in tackling many of these challenges as she has been appointed to serve on three House committees: the Health Care Committee, the Economic Development Committee and the Ways and Means Education Subcommittee. Drazan's opportunity to serve on these committees came about after she met with Speaker of the House Tina Kotek and requested the appointments, according to Jacob Vandever, Drazan's legislative director. "When speaking with folks in my district, health care was one of the biggest concerns on people's minds," Drazan said. "Oregonians are worried about their futures and the increasing cost of care…It's time for health-care reforms that put patients first." Drazan said she is eager to begin work with colleagues from both parties on the Health Care Committee. 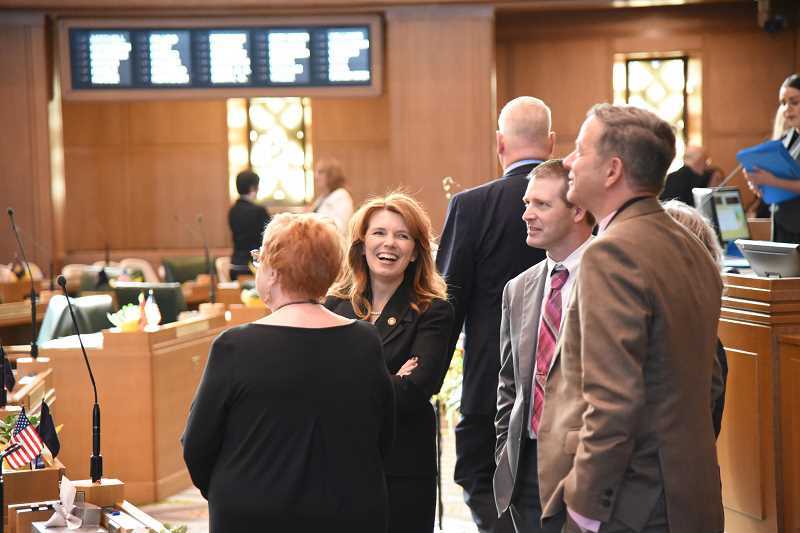 As for the Economic Development Committee, Drazan hopes to play an active role, per the release, by expanding Oregon's global footprint and creating opportunity for more and more Oregonians. "We need economic opportunity to reach every corner of our state—including every corner of House District 39," Drazan said. "I will be looking for any chance to improve the economic climate here in Oregon, but make no mistake, I will oppose laws and regulations that pursue political agendas at the expense of Oregon families and jobs." As a parent of school-aged children, Drazan is particularly aware of the issues when it comes to the third committee she'll serve on: the Ways and Means Education Subcommittee. "We need to ensure our schools are not only appropriately funded," she said, "but that those dollars are making it into our classrooms and helping improve the educational outcomes of our students." The 2019 legislative session begins Jan. 22 and runs through June 30. "This session represents an opportunity to be a voice for the vanishing middle class," Drazan said, "to prioritize the needs of families, to work for stronger student outcomes and to hold our state legislature to our highest standards for integrity, fairness and transparency. "I pledge my best efforts to work tirelessly alongside my colleagues to serve the common good through my service to the people of House District 39," she added.